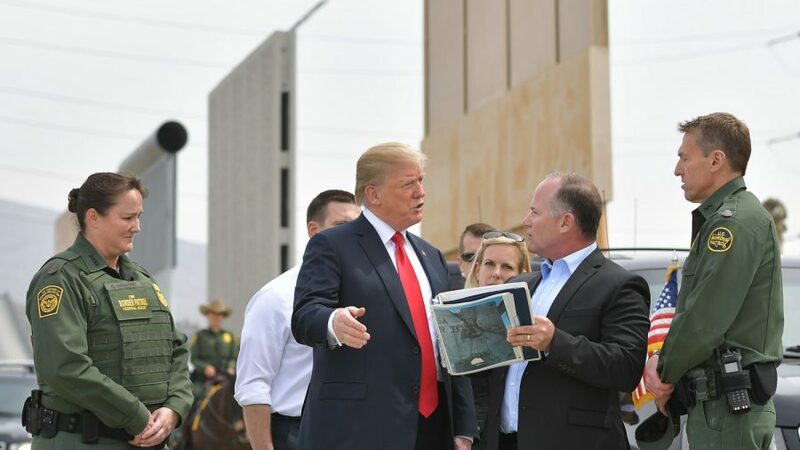 President Donald Trump plans to supplement any border wall funding agreed upon by Congress with monies from other areas of the budget to get to his goal of reinforcing the southern border with a physical barrier, Acting Chief of Staff Mick Mulvaney said on Feb. 10. “We’ll take as much money as you can give us and then we will go off and find the money someplace else, legally, in order to secure that southern barrier, but this is going to get built with or without Congress,’” Mulvaney told Fox News. Congress has formed a bipartisan conference committee to negotiate on border security funding in exchange for Trump’s agreement to end partial government shutdown, which ran for a record 35 days until Jan. 25. 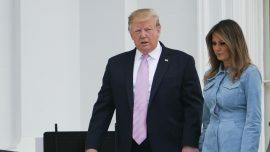 The negotiators, nine Democrats and eight Republicans form both the Senate and the House of Representatives, have generally agreed some border barrier funding is in order, though the dollar amounts they’ve mentioned to media came nowhere near the $5.7 billion Trump wanted. Mulvaney said he’s heard of offers from zero to $2.6 billion. A deal must be reached and a funding bill passed by Feb. 15, or about quarter of the government shuts down again. Though Mulvaney maintained, as Trump said previously, that the border wall will get done even with no money from Congress, he didn’t go as far as saying that Trump will sign any bill the committee produces. “He cannot sign everything they put in front of him. There’d be some things that simply we couldn’t agree to. So the government shutdown is technically still on the table,” he said. In exchange for the wall funding, Trump has offered several measures friendly to Democrats’ priorities, including a temporary protection for certain illegal immigrants who came to the county as minors. But the Democrat negotiators have brought conditions of their own, including limiting the immigration authorities’ detention capacity. 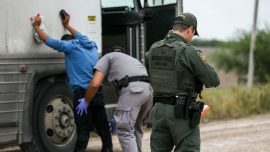 Trump has wanted to enhance the capacity, since keeping illegal border crossers detained prevents the “catch-and-release” scenario, where an illegal immigrant is apprehended and then released while waiting for a hearing in the extremely overburdened immigration courts, which can take years. The committee negotiations have stalled on the detention issue, said Senate Appropriations Committee Chairman Richard Shelby (R-Ala.), one of the main negotiators, on Feb. 10. 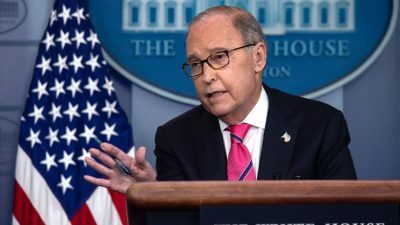 “I’m hoping we can get off the dime later today or in the morning because time is ticking away,” he told Fox News. One of the Democrat negotiators, Sen. Jon Tester of Montana, dodged a question on why his partisans would want smaller detention capacities, focusing instead on the wall funding level. “Until we get a final number, I’m not sure we’re doing any of that,” he told Fox News. Mulvaney, who also serves as the head of the Office of Management and Budget, said there are multiple avenues Trump could take to reallocate money that Congress appropriated for other purposes and use it to fund the wall instead. 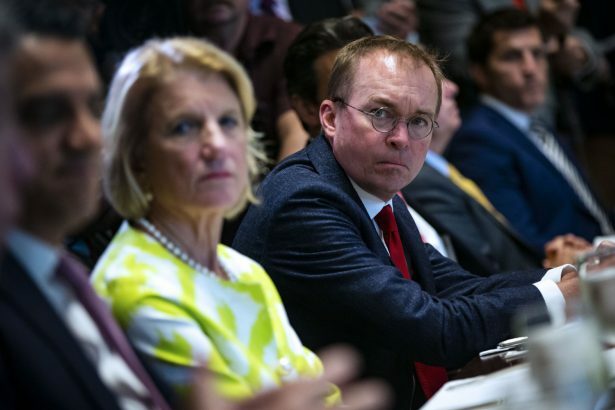 Despite objections form some Republican lawmakers, Mulvaney said Trump keeps “absolutely on the table” the option to declare a national emergency, which would give the President additional powers to redirect funding. However, it’s not the only way, he said. Presidents have declared dozens of national emergencies over the past several decades, yet Democrats and left-leaning activists would likely challenge Trump in courts if he were to use the emergency powers for construction of the border wall. 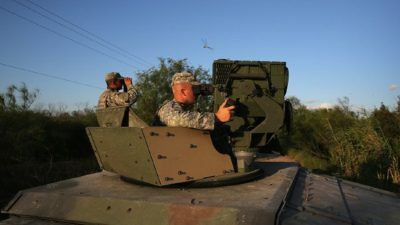 Trump has already sent thousands of troops to the border to reinforce existing barriers with concertina wire and provide further support to Border Patrol. Trump has been calling the situation at the border a crisis since before his election, just as Obama did in 2014. 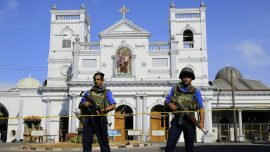 Lately, Trump has pointed to the rapidly increasing illegal crossings since the migrant caravans started storming the border in recent months, along with drug and human trafficking. While border security officials have acknowledged the wall is not a panacea for all the problems, they agree that certain parts of the border need new barriers, while others need the existing barriers repaired or upgraded. Using border security funds from last year’s budget, Trump recently gave out a contract to build some 115 miles of new barriers, he said.